Charts AC 5605, 1652, 1991; Imray C12, C9; Stanfords 9,30. 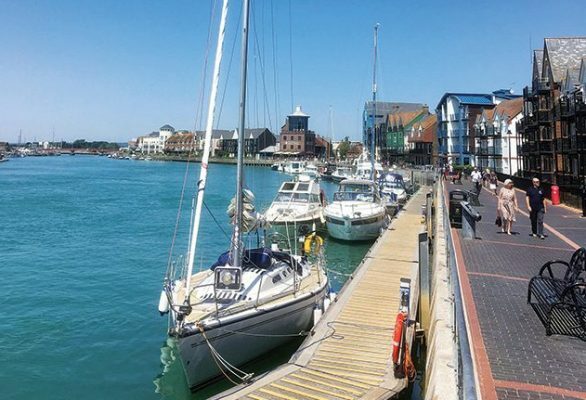 On a first visit to Littlehampton Harbour it’s best to arrive from High Water -2 to +1 hour. The visiting sailor should be aware that the spring ebb stream can reach five knots through the narrows. From 1.5 hours before until 4 hours after high water a east to west tidal stream runs across the harbour entrance. The west to east tidal stream begins 1.5 hours before low water and continues until 2 hours before high water. 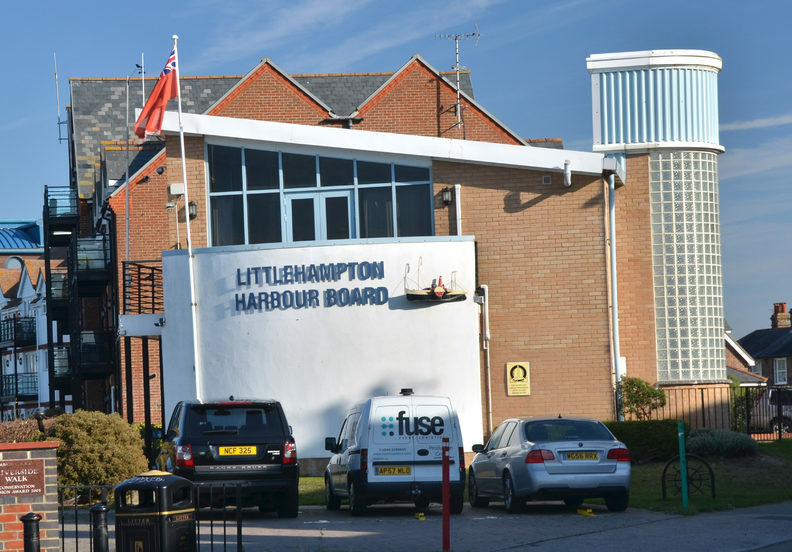 The level of Littlehampton bar which extends 600 metres southwards from the end of the West Pier is 0.7 metres above chart datum. The depth of water covering the bar can be calculated by subtracting 0.9 metres from the height of water indicated on the tide boards situated within the harbour. Tide boards are metric, marked in units of 20 centimetres and coloured white, red, black, red, black. When approaching the harbour, the tide board on the west pierhead can be read from sea with the use of binoculars. Consideration should be given to the sea state and allowance made for swell over the bar. On closing the harbour from seaward, a safe approach can be made by bringing the leading lights into line on a bearing of 346º True. Once past the West pierhead, a course favouring the east side of the channel is best to take advantage of the deeper water and to allow for the effect of the strong east to west tidal stream. Once past the East pierhead, keep the flashing green light on Fisherman’s Quay ahead while keeping to the starboard side of the channel. The visitors pontoon is another 500m ahead on the east bank below the Harbour Office, the prominent white building north of the first line of pontoons on the east side.